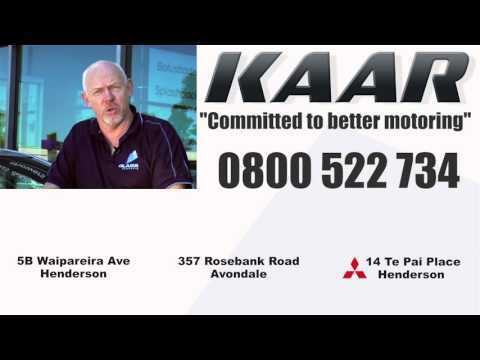 "Have used Kaar Motors in Avondale for two years now. Excellent service. Honest. Reliable. Dependable. Really helpful with advice and information. I highly recommend them. " "I have been a customer of KAAR for 8 years, the service is always fantastic. Great friendly staff, always helpful, it is always a pleasure to do business with them. The workshop is clean and tidy, which for me shows the professional attitude of this excellent Auto Service & Repair Company"
"I have been taking my BMW to Kaar Avondale for over two years now and they have always done a profession job of my service and keep my car in good condition. I highly recommend their service. " "Have used for while now. Always reliable, informative, provide options & pricing bf job"
"Gavin and the team are always good to deal with, friendly, professional, our cars are always ready on time and affordably priced as well. Courtesy car is a bonus to. Highly recommend these lads. "Great service. Was expecting the work to be done to cost me a lot more than the final cost (cam belt, Full service, air conditioning, WOF and a clean and vacuum). Same day service, with an offer of a courtesy car which I didn’t need ( but great to be asked). Will be taking my truck back to them from now on. Well done to Gavin and the team at KAAZ, Avondale." "The other night when I left work I noticed that there was a puddle under the rear of my car (and it hadn't rained in a few days). Being the anxious type I dropped by the garage the next morning (without an appointment) and Gavin said he'd fit my car in. They checked it over fully but couldn't find anything wrong with it so Gavin said there was no charge! On top of that they pumped up my spare tyre and topped the others up as well. Thanks guys! There's a reason I get my car serviced here twice a… year!" "Amazingly helpful! Had a battery issue and from the first phone call to getting the battery replaced they were super helpful - these guys are my new mechanics!" "Car would not start and got towed to KAAR, not one issue prompt and professional service and they could not have been more helpful. Arranged to squeeze my car into their afternoon and fixed the issues even gave me a loan car. 100% using this company for my car servicing off the back off this experience. " "This was my first time at KAAR in Avondale and I must say the service I received from the minute I booked the appointment was absolutely top notch! Gavin Fraser was friendly helpful and easy to deal with. Plus my car is running smoothly! I would highly recommend their services! " "As a proud owner of a Holden Clusport I do not allow any muppet to undertake repairs on this vehicle, so it is with absolute confidence that the guys at KAAR Avondale have my seal of approval. Over the time of owning my Clubbie the guys have done a range of work ranging from replacing the clutch, steering rack to scanning and diagnosing engine faults and fixing them. These guys are always willing to help and take pride in their work which can be hard to find these days. They stand behind… the work that they do and as a customer of KAAR Avondale, so do I. If you value your vehicle and want a quality job done then do not hesitate to get in touch with these guys..you won't be disappointed." "The only car mechanic I trust in West Auckland. Have been seeing them for my WOF and service for years. Highly recommend!" "We've been with KAAR for about 7 years now and their service and professionalism is stellar. If you're looking for honest mechanics that do an outstanding job, this is the place to go!" "A+++ as always. These guys are always the best of the best! Friendly, dedicated, and efficient, don't know who can do a better job than these guys. If you are sick of inefficient and people who don't know what they are doing, KAAR is the place you need to go to. Thanks guys, you've made my day again :)"
"Kelvin is fantastic and I highly recommend him and KAAR"
"Excellent service - quick, friendly and reliable. "I was very happy with the service I received at Kaar Avondale. They gave me the confidence that my car is in the best hands. I will definitely use them again for my services." "KAAR look after our fleet of 6 vans and they are great to deal with. Always go the extra mile to provide excellent service and to work in with us. Their workmanship is first class and and we are always kept up to date with what is going on." "I would recommend KAAR 100% to anyone looking for exceptional service. My whole family bring their cars to KAAR. They are always friendly and helpful, clearly communicate, and complete the work when they say they will. Their standard of work is very high and I have never had any complaints. " "Always fit us in snd provide a loan csr, Kaar Avondale always delivers. The hours suit snd location is great. We stupidly tried somewhere else recently and they didnt meet any of our expectations so back to Kaar we went, tail between legs! Happily take our fleet there and will not be changing anytime soon &#9734;&#9733;&#9734;&#9733;&#9734;&#9733;&#9734;"
"We have been using Kelvin Armstrong as our mechanic for over 15 years. We always get great service and prices quoted for repairs or service are accurate and the work completed when they say it will be. Good to know that there is a good honest mechanic in Avondale that we can use." "Always exceptional service. Always quoted before repairs started and the problems always sorted first time. I will be back, and spreading the word! Thanks"
Saab until i came across Kelvin Armstrong auto repairs in Avondale. I dropped my Saab to them and they had it running like new that very same day! I highly recommend this garage as they stuck to their quote and had service with a smile. Thank you very much again .. Will see you soon for my service and WOF. "I believe they tried to scam me. The facts: They told me I had a warped cylinder head and that I would need to have it repaired/replaced at GREAT expense. They charged me $94 on the basis that they had performed a compression test and leak down test. They told me that there was low compression across all cylinders and that in the leak down test air was leaking into the cooling system. I was sceptical about this for three reasons. First, the car is only a few years old and had only done… 50, 000km. Second, there had been no loss of power prior to the car not starting, and I had not overheated the car. I told them I had not overheated it but they insisted that I must have, and told me that I wouldn’t have known because my car doesn't have a temperature warning light or gauge (which of course it does). Third, they reported low compression across all cylinders which is rare for warped heads / blown head gaskets. I took it to another mechanic who reported no head damage and he had it running as new within two hours. At the very least, this indicates that they lied about air leaking into the cooling system during the leak down test. I believe it also indicates either (A) incompetence and / or (B) an intention to mislead me and perform unnecessary engine work. Bottom Line: I am very disappointed and would not trust them with another car." "Great service, they make everything so simple and easy will definitely keep coming back, "
"I use KAAR for both our business vehicles and our personal. Excellent service and lots of little touches that make it logical to go back." "I went to get a quote to flush the automatic transmission oil out of my Nissan Presage 2004 and they found a large hand held torchlight which was left underneath the engine from the previous workshop that I had taken my car to for the same job which seemed over priced. Justin from KAAR was very helpful and gave my car a thorough inspection and went that extra mile in the service he gave me. I am more than happy with the work and service that they gave me and it is without any hesitation that I… recommed KAAR to anyone looking for a professional personal and friendly service. Doug from Avondale, Auckland"
"We started taking our cars to Kelvins this year and have never looked back. They offer a superior service and put your safety first. It is fantastic to finally have a mechanic we can totally trust." This time around I tried Kelvin Armstrong since they were closer to where I live. In my experience Midas does a better job than Kelvin"
"We\'ll I guess we can\'t please everybody, we do try I did take your call and you did ask for a verbal estimate, and I did advise you that we would have to remove and strip starter first, prior to a firm quote. Unfortunately your particular Lexis had a nonstandard starter motor, and unfortunately parts were not local and harder to find, I could give you more excuses, but I feel you have been unreasonable, we were honest, we communicated ,we did not do any unauthorized work and we can guarantee we did a quality job. " "Wow what great service! Everything was explained well, accurate estimates were given, they kept in touch and the work was completed really quickly. What a friendly bunch of guys! :)"
"It's rare that you hear people raving about their mechanics, but I have been raving about Kelvin Armstrong Auto Repairs for a month now. A few weeks ago I drove into a bus, damaging my front guard, fender, suspension and steering. I managed to limp to my husband's mechanic (KAAR), at the time I was a little unsure as to where to start with the repair, panel beaters first or mechanical workshop The team at KAAR just said leave it with us, we'll sort everything out for you. The following day… they contacted me to inform when I should expect the car back, they took me through the repair process and asked if there was anything besides the insurance work I would like done. I really appreciated this mindful follow up because I was able to repair the damage from the accident and tidy up the rest of the vehicle for resale in the future (2 jobs in one hit). When I picked up the car it gleamed (I don't think it's ever been so clean) all the dents and bumps were gone, the steering and brakes were fixed, The car and I left the workshop purring. When I think KAAR, I think super efficient, and thoughtful. These guys meet your expectations and more. "I first contacted KAAR because of all the possitive comments I've read below. Upon obtaining a quote over the phone, I surprised at the value-for-money and honest approach this garage offers. This is in comparison with at least 5-6 other places (all reviewed in NoCowboys) that have quoted me up to twice as much for the same job that I wanted done. On the day, I was able to wait for car, and found that Kelvin and his crew are just great to deal with. Would definitely use them again in the… future." "I made an email enquiry through No Cowboys for a few things that I needed fixed/replaced in my car and got a quick response with an itemised quote. No surprise costs and got a courtesy car while it was in the shop for 4 hours. After the service I was told I needed to replace the engine air filter, battery, brake pads and radiator fluid and was given a quote. I had a friend who could do the battery and air filter for me but when we went to Repco, the cost for parts was 50% more than parts and… labour that KAAR was quoting. I decided to replace the battery with KAAR but unfortunately the battery finally died while outside Repco. Should have just got everything fixed at KAAR to begin with." "Friendly and fantastic service - kept aware of what was going on and good advice given. Highly recommend these mechanics." "I have dealt with Kelvin for over 10 years and as a woman car owner find him to be very trustworthy and honest. This makes all dealings extremely pleasant given the circumstances!" "My wife gets her car regularly servicede here because of proximity to her work and always finds them honest and reliable"
"Awesome service, They were really efficient and honest. thanks guys"
"I have used this auto repairer since 1994 and have never had reason to look elsewhere. I have always found them thoroughly reliable and helpful." "Kelvin and the team take care of all my automotive needs. If Kelvin recommends we repair or replace part of the car, then we do. We trust his judgment and know we're not going to get ripped off. Thanks"
"They were really efficient and honest and their service was above and beyond our expectations"
I am emailing to say how happy I was with the service I received from Clark. He was so helpful to not only myself but also my father regarding my car. My car was repaired promptly and my father and I were extremely pleased with the result. I was never made to feel stupid as I know nothing about cars. I was also told what to look out for in my car in future and to come back anytime. I will definitely be coming back to your Company and will recommend to others to get their… car repaired at your Company too. "they were realy good highly reccomended"
We opened in 1994, our technicians have in excess of 350 years combined experiance. KAAR is west Aucklands Premier Automotive Repairer, we have two locations, Avondale and Henderson, we also have a Auckland wide mobile service. One stop Quality Repair shop!